Luke 21:10-12 (NASB) Then He continued by saying to them, “Nation will rise against nation and kingdom against kingdom, 11 and there will be great earthquakes, and in various places plagues and famines; and there will be terrors and great signs from heaven. 12 “But before all these things, they will lay their hands on you and will persecute you, delivering you to the synagogues and prisons, bringing you before kings and governors for My name’s sake. The Lucan passage is significant. Jesus has just told the disciples about the coming destruction of the Temple (Luke 21:5-6) followed by their question as to when this will be. Jesus’ response includes warnings “to not be misled” by the many who will come in “My name” (Luke 21:8-9); and then, “to not be terrified” when they hear of wars and disturbances for these things “must take place first, but the end does not follow immediately.” (Luke 21:9 NASB). Jesus then repeats in Luke 21:10 what He has just told them in Luke 21:9. The full course of the discussion encompasses far more time than the fall of Jerusalem to the Romans in 70 a.d. or the first 250 years of persecution of Christians by the Roman Empire. Verse 9 even tells us that the end does not come immediately which leads us to conclude that there is a clear “parenthesis of time” subsequent to verse 8 similar to what many interpret to be present in Daniel 9:25-27 NASB. That is, the Temple will be destroyed by the Romans in 70 a.d. (Luke 21:5-6) in the first Jewish War. Wars and rumor of wars will continue until the end of days along with the coming of false Christs. From my view, Luke 21:20-22 is likely not referring to the fall of Jerusalem in 70 a.d. (already stated by Jesus in Luke 21:5-6) but the fall of Jerusalem in the end-of-days. To me it is a fulfillment of Revelation 11:2 as well as Ezekiel 38 and 39 (that is, Ezekiel 38 prophesies of an initial falling of Jerusalem prior to its eventual redemption when “Gog” and his armies are destroyed by “pestilence and blood.” Ezekiel 38:22-23 NASB). In the words of Scripture, Ebola is a plague, an epidemic, a pestilence. The Greek word used in Luke 21:11 NASB and translated “plague” is the same word used in Matthew 24:7 NASB and there translated “famine.” It is the Greek word “loimos,” meaning “pestilence, plague, (disease) epidemic.” (See Friberg Greek Lexicon.). Luke is very likely prophesying of precisely what we are beginning to experience in the modern-day Ebola virus Yes, there have been many prior “pestilences” since the time of Christ. What makes Ebola fit Christ’s prophecy? Lets look at one more passage. Upon the breaking of the 4th seal of Revelation 6, an ashen horse is summoned. The rider is named “Death,” and Hades follows the ashen beast. The reader is led to visualize a dreaded sight as “Hades,” the place of torment for unbelieving humanity (Luke 16:23), follows the ashen beast much like vultures encircling the near-death of a flesh and blood creature. The divine judgment is chilling: “Authority was given to them over a fourth of the earth, to kill with sword and with famine and with pestilence and by the wild beasts of the earth.” The Greek word “limos” which was present in Matthew 24:7 and Luke 21:11 is also present in Revelation 6:8 but there translated “famine” by NASB. Another Greek word is translated “pestilence.” It is the Greek for “death” (thanatos). It is the same word that names the rider of the ashen beast. Unique to the breaking of the 4th seal is that divine authority is given “to them,” i.e., both ashen horse and its rider. It is almost as if the reader is led to see the magnitude of the authority before the extent is defined – “to them” authority extends to 1/4 of the world’s population; to kill, not only by pestilence, but also by sword and by wild beasts of the earth. Revelation 6:8 NASB. The last identifier of the judgment is significant: “to kill … by the wild beasts of the earth.” I have always had difficulty understanding why “wild beasts of the earth” will figure into this end-of-days prophecy. After all, it is not as if lions, tigers, and bears really pose a threat to humanity in the modern age. Recently, I remembered reading something scientists theorized about Ebola — it was first contracted in West Africa through animals. Did you think it was strange when the Spanish authorities euthanized the nurse’s aid’s dog? They saw it as a potential carrier of the virus. In all my years, I do not remember being warned that my pet was a carrier of any virus potentially dangerous to humans. Have you ever stayed away from your dog because he had the sniffles? Of course, I am aware that the writer’s of the Scriptures used terms such as “wild beasts of the earth” to describe the full effect of tribulation; and, in their day, wild beasts were a part of that description. Nevertheless, to me it seemed that I had one of those “aha” moments when I connected the dots. I remembered this identifier from Revelation 6 and I wondered, “Is it possible that the “wild beasts of the earth” will not devour us with their teeth but as carriers of the pestilence, the virus? One final point. Interpreting prophecy is not so simple as to “match” the word “pestilence” in Scriptures with Ebola virus as a “pestilence.” It is the concurrence of Ebola along with other identifiers in the passage that allows us to conclude a fulfillment is occuring. The other identifiers are war, beasts of the earth, and armies surrounding Israel. All identifiers are present, right now. Militant Islam in the Middle East, Africa and around the world. The nations of the world standing against Israel and perhaps in the path of eventually surrounding Jerusalem as prophesied in Luke 21:22 (plus this occurs after she has been regathered as a nation from the ends of the earth). And, lastly, Ebola in Africa and now spreading throughout the world so much so that we are told to consider the animal kingdom as a potential threat to our safety. All of these identifiers are occurring concurrently. They all together point to modern-day fulfillment. Panic and fear are going global. In the U.S., five major airports have begun screening all international flights from infected areas of Africa. U.S. Department of Homeland Security Secretary Jeh Johnson said on Thursday that “he would like to expand screenings for the Ebola virus to airports outside the United States.” And no wonder. If Ebola, war, and the nations surrounding Israel are concurrent identifiers of Revelation 6:7-8, then 1/4 of the world’s population will perish in fulfillment of the breaking of this seal. That will be a time of death the world has never known – for this death will truly be global. Matthew 24:21. You may be thinking of the rapture right now; that Christians will not be subject to the 4th seal. I beg to differ. Even to the pretribbers, the only requirement of Scripture is that the rapture occur prior to the time of the wrath of God, not during it. Notice when the wrath of God begins based on Revelation 6. It is not until the breaking of the 6th seal. Revelation 6:12-14 NASB. The wrath of God does not occur until the breaking of the 6th seal and the ashen horse and Death bring in the perishing of 1/4 of the world’s population in the 4th seal. My view is that believers are still here during the 4th seal judgment. What do we do? A picture is worth a thousand words. Look at the picture. You don’t think it goes with the title of the post? Perhaps we need read Psalm 91 to see how it goes precisely. 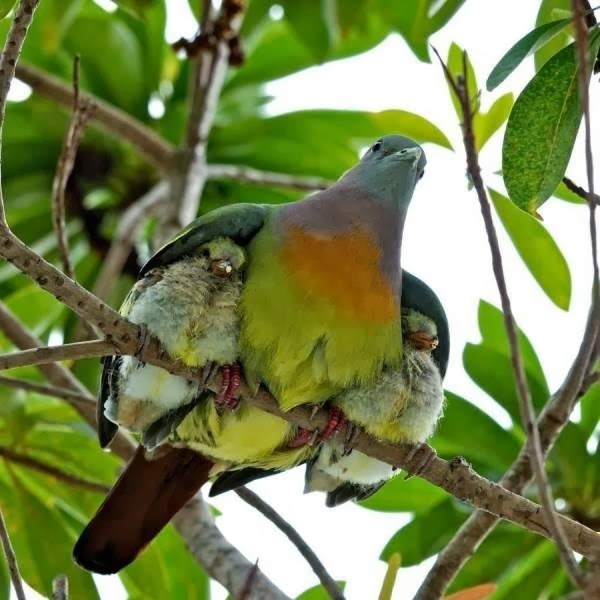 Psalm 91:1-8 (NASB) He who dwells in the shelter of the Most High Will abide in the shadow of the Almighty. 2 I will say to the LORD, “My refuge and my fortress, My God, in whom I trust!” 3 For it is He who delivers you from the snare of the trapper And from the deadly pestilence. 4 He will cover you with His pinions, And under His wings you may seek refuge; His faithfulness is a shield and bulwark. 5 You will not be afraid of the terror by night, Or of the arrow that flies by day; 6 Of the pestilence that stalks in darkness, Or of the destruction that lays waste at noon. 7 A thousand may fall at your side And ten thousand at your right hand, But it shall not approach you. 8 You will only look on with your eyes And see the recompense of the wicked. Will America find its refuge in God or in our medical profession, our military, our economy? I listened to President Obama the other night as he pridefully spoke of America being the first nation in the world to help other less able nations around the world in whatever their crisis might be. I had a twinge of dread as I was reminded of Proverbs 16:13 NASB. I honestly don’t think America will take its refuge under the wings of the Almighty but in its own strength as a nation. What might it mean for a nation like America to take refuge in God? Refuge is a condition of the heart, of having surrendered under His strength – a surrendering that perhaps returns us to this place where “In God we Trust”is more than a phrase on our currency. What about believers? Will Christians be renewed in their relationship with the Almighty? Will we find our strength in His strength? It is my prayer that God will use the tribulation of these days to bring Christians back to God; that we might find our refuge in the shelter of the Most High, and under the shadow of His wings. It is only under the shadow of the wings of the Almighty that we will find refuge from the “terror of the night” or the “pestilence that stalks in darkness.” Brothers and sisters – it is time to come to God. Jesus come quickly. Matthew 24:22. Hi JC – true, but seems that we might be violating one of the principles of interpretation if we mix metaphor and literal interpretation in same verse. Everything else in the passage is being interpreted literally so it seems this phrase must be literally interpreted as well. Good thought though. Thanks for the comment.